Club Penguin Cheats by Mimo777 Club Penguin Cheats by Mimo777: Club Penguin Puffles Updated! 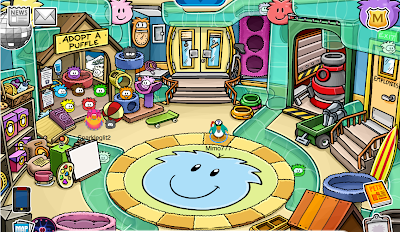 if you go into the pet shop with say a green puffle, then the carpet in the pet shop turns green! Cool new puffle designs but I liked the old ones better.